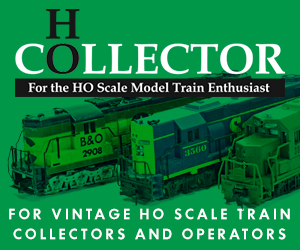 This Rivarossi-made steam engine is a famous model in the AHM line, sharing an artwork scene with a New Haven C-Liner the 0-8-0 was found on the cover of both product catalogs and train sets for AHM. In addition to this HO-scale example, AHM also cataloged an O-scale version of this steam engine. 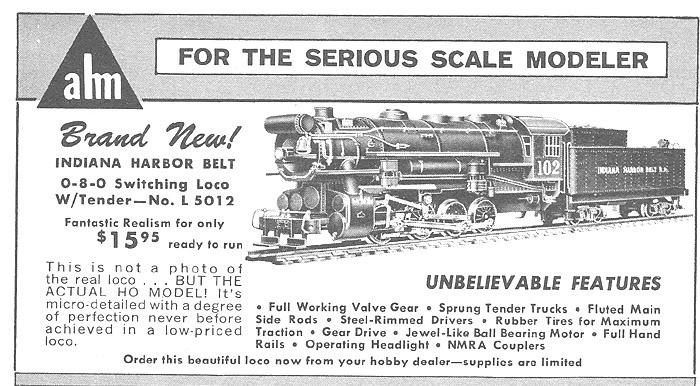 The 1967-68 AHM catalog provides an $18.95 retail for this engine and its available in your choice of Indiana Harbor Belt and Santa Fe.